What would you do if you found yourself with more cash buyer leads than you knew what to do with? … I hope your answer would be that you’ll do more real estate deals! Whenever you need more money, go to your buyers list to curate demand! Like the screenshot above from an actual InvestorCarrot members account for just 1 of his websites in a market on the East coast… he has well over 1,000 cash buyers (1,015 of which took the next step and further qualified themselves with our “Step 2” lead qualification process built into all Carrot sites. Those are solid buyer leads. One perpetually attractive source of buyer leads is Craigslist. 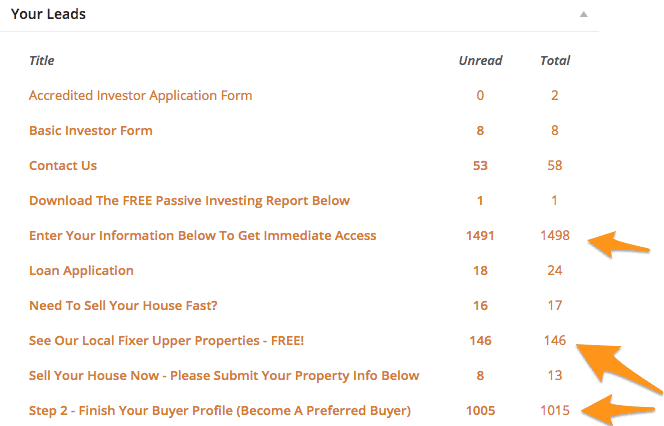 Are You Leveraging Craigslist To Build Your Active Cash Buyers List? If you’re a real estate investor, Craigslist should be one of the sites you bookmark and visit daily to help you grow your business. 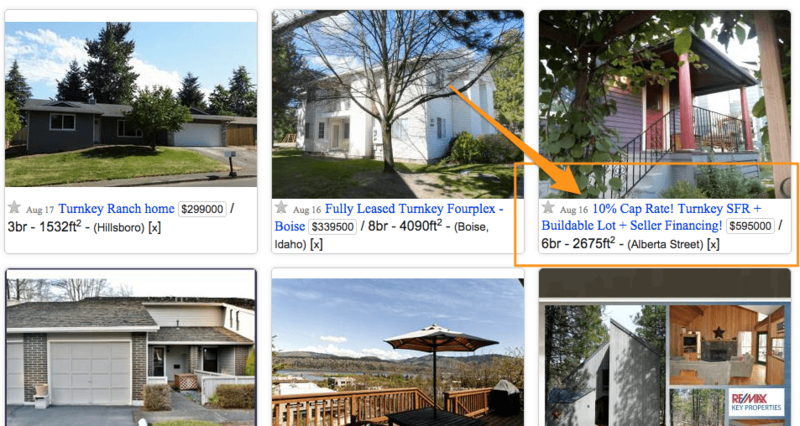 Craigslist has long been a treasure trove of leads for real estate investors, from buyer leads to seller leads to rental tenants to contractors, and more. It’s so good because there are always many people on Craigslist at any given time and you can be sure that the people who are visiting the real estate section have some interest in real estate… that is, they’re at least thinking about participating in some kind of transaction (even if they’re not ready today). Unfortunately, there’s a dark side to that reality: there are a lot of people just like you – including agents and investors – who are hitting up Craigslist to find leads. … There are a lot of all-caps and a lot of exclamation points. It’s easy to get lost in the crowd. 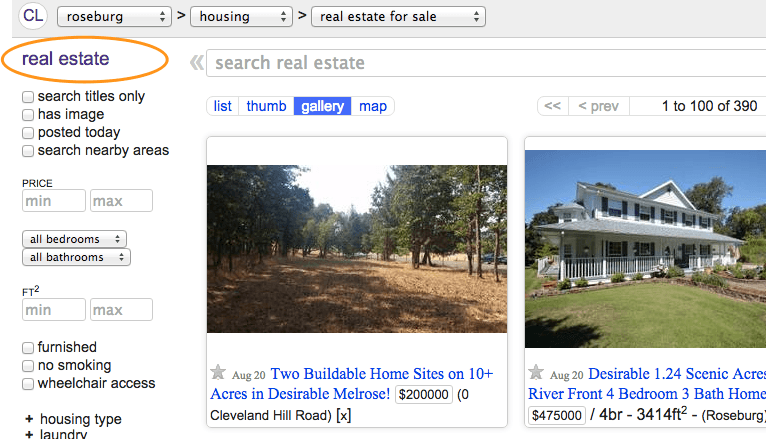 So, how do you master Craigslist to make it a key part of your buyer-lead-building strategy? And, how do you stand out from the crowd and attract more buyer leads? Leverage these 5 Craigslist marketing strategies for your real estate investing business or even as a real estate agent. Is that the best information for your buyer? Start by identifying who your buyer is. Do you sell to retail buyers? Rent-to-own tenants? Landlords? Flippers? Get as specific as possible. Maybe you are a turnkey wholesaler and your perfect buyer is an out-of-state owner. Maybe you flip properties and your perfect buyer is a rent-to-own tenant with bad credit but a good job. Once you identify your buyer, you need to get into their brain and think about WHY they want to buy a property from you. No one cares about the address of your property until they are ready to visit. And not all buyers care about the number of bedrooms and bathrooms either. Here are 3 simple but powerful tips to help get in the brain of your cash buyers with your Craigslist ads. 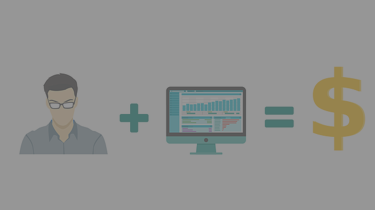 You need to figure out why your buyers are looking in the first place… then build that information into your ads. Your buyers have a reason for buying properties and it has NOTHING to do with the property’s address (that most people post as the post title). Create a title that speaks to your buyer’s key reason for buying. Should you include exclamation points and ALL-CAPS? Those might have worked when people were first posting but it seems like most people are using that strategy now so you might consider using regular sentence case to write your title since it will be unique against a list of ALL CAP POSTS. In the end, it’s not important whether you use CAPS, symbols in your ad title, arrows… whatever. The important thing is that your ad title stands out visually in the list of other ads. 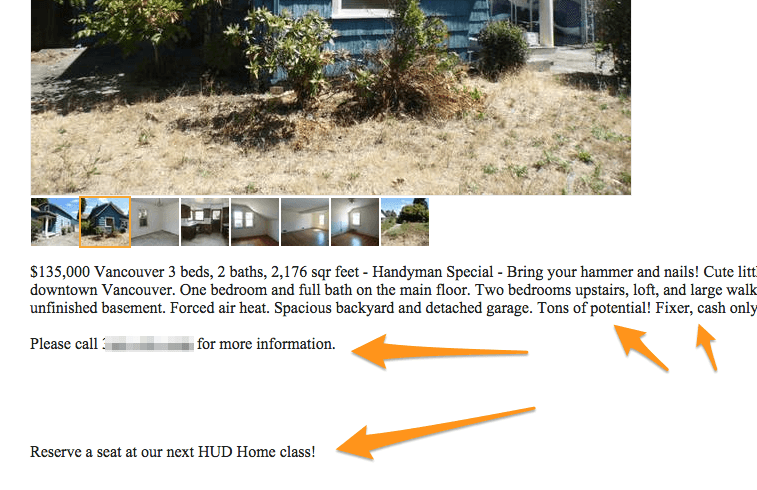 Which Craigslist Real Estate Ads Stand Out To You Below? Making your Craigslist ads stand out… Notice how small changes in your ad title can make it stand out from the other ads. You can use symbols, numbers, or even just making your ad title a different length than the other ads on the page can improve the results of your ads! Pictures are a challenging part of the real estate investor’s Craigslist marketing strategy. The burning question is: Do pictures help? If your buyer is a homeowner/retail buyer (that is: if they will be living in the property themselves) then pictures will help. If your buyer is an investor (i.e. a flipper or they want to own rental property) then pictures probably won’t help as much as the numbers. (They might help but not to the same degree as someone who will live in the property). Also, the quality of the picture should really vary based on the type of buyer you’re looking for. Retail Buyers want to see very pretty and polished pictures. So post great pictures to catch their attention. When most retail buyers see a crummy picture that makes the house look bad, they immediately start thinking of all of the work they’ll have to do to make the house “pretty”. Turnkey Investors want to see pictures that show the house is nice, is well kept, in a neighborhood that’ll attract the type of tenant they want, etc. So you don’t need the ultra polished pictures like you may post for a retail buyer, but make sure the house looks like it’s in great shape and well kept in the pictures to turnkey investors. Cash Buyers / Flippers often want to see a house that is in rough shape in comparison to the others in the neighborhood. So don’t fret over trying to make your pictures fancy. In fact, fancy professional pictures could give the flipper / rehabber / cash buyer the impression that the house is too expensive and isn’t a deal. Show the flaws in the house, show what they’ll have to fix, but make sure to show the good parts of the deal as well. Which Pictures Stand Out And Which Ones Don’t? 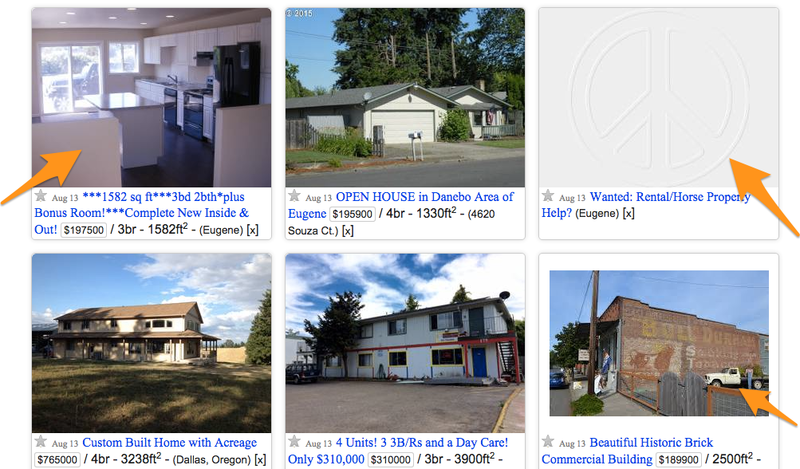 Craigslist has a “gallery” view now… that in many markets is the default view for looking at real estate. So are your ads standing out and helping grab your potential prospect? The pictures with orange arrows above don’t really show the property well and don’t grab your attention. So again it comes back to knowing who your buyers are. Many real estate posts have pictures in them and they aren’t great quality pictures. One picture may show a room with windows; another picture may show a house with a tree in front of it. Clearly, all of the pictures were taken on a smartphone. If you are going to take pictures, take great pictures (vivid pictures with plenty of contrast) that show key parts of the property that will interest your buyer based on their “why”. (Flippers should see the parts that are great and the parts that need fixing. Cash flow investors should see that a property is solid enough to attract and retain good tenants). But here’s one more argument against images: Since many listings do have pictures, your listing might actually stand out if you don’t have pictures – especially when Craigslist is in the thumbnail or gallery mode. So you can use the lack of pictures to your advantage if you have a great ad title that draws the real estate buyer in. The main thing you want to do is stand out in the sea of other Craigslist ads. Try both ads with images and without. And try ads with great images and ugly ones and see which produces the best result for you following our guidelines above. As you post your listing, you are prompted to enter a price. Although people can sort with high prices first or low prices first, potential buyers will rarely search for high prices first (because serious buyers usually want to pay less). And if they search by price at all, your no-price listing may not show up at all. This reduces your choices to: the right price or a price that is eye-catchingly low. If a price is too low ($1.00) you might show up at the top of the list when sorted by low price first but what will you gain? You may incur the wrath of someone who wants to flag you for mispricing your property. Ultimately it will depend on the kind of deals you do and who your buyers are. The best rule of thumb is to always price the property for your best price upfront. Studies have shown that starting high then lowering over time actually leads to a 13% decrease in the sales price of the house. In the body of your listing, include relevant details that the buyer will find helpful. But most people stop there. While that might be true, people need to be told what to do next. So create a clear call to action that entices them and reminds them of the urgency of the offer. You might also consider offering a bonus to leads who contact you. Make sure that the bonus is valuable, tied to your offer, and benefits your specific buyer (as identified in strategy #1). 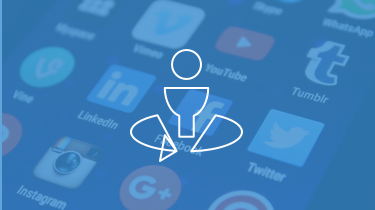 Don’t get too aggressive on your free bonuses because they could cause people to flag your listing but if you take an authentic, measured approach that is targeted to a specific audience, you should find it helpful. Craigslist is a powerful source of leads no matter what you use it for. If you want buyers, follow these 5 simple strategies to take your buyer lead building to the next level! If you found this blog post helpful and you’re a Carrot member, take a look at our Craigslist training. It gives you an even more comprehensive step-by-step strategy to dominate Craigslist and build seller leads, buyer leads, and more. Im going to try and use some of this stuff! Awesome man! Dive in and implement and let us know how it goes! Thank You for the great tips, I will try a few since im needing a few, sould we put a phone # or do email for there reply? When are you do more Craigslist training? Thanks a bunch. I always like to put both in. Put your phone number in and give them a call to action to reply to the ad or go to your website. More than one way to contact you is always great. More Craigslist training is coming out soon! Keep an eye out. Hi, I’m looking to build a network of referrals for possible current or future buyers.We’re a full service brokerage.Would I have success here? I’m a new agent,so need leads.Thanks,Wally. Great article. Can you tell me how to advertise if you don’t yet have any properties but are looking for buyers? I’m new at this and want to speak to buyers first, then find the properties. Hey Wendy! Yep, great question. 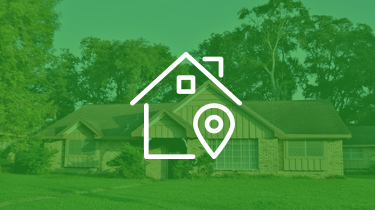 Our platform makes it really easy to upload properties and mark them as “sold” or “active” with a click of a mouse, so it would be easy peasey. Great information. Lots of good tips for starting out or if experienced. I am very happy with the choice I made to go with Investor Carrot because of all the content like this. Everything is so readily available and laid out in easy steps to follow.